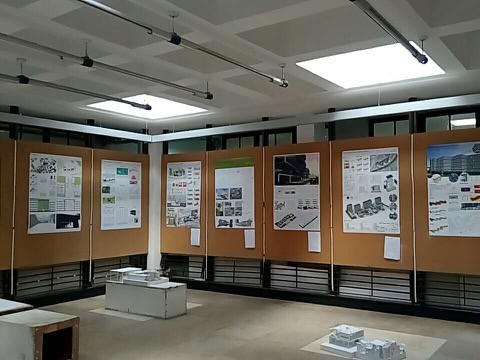 During the summer term of 2018, an international competition for master students was jointly organized by CAUP Tongji University Shanghai and Cologne Institute of Architectural Design (Institute 02) of the Faculty of Architecture in cooperation with the Chinese company Letaron. 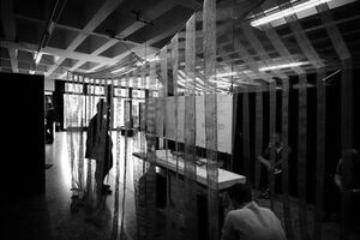 Ten works were submitted on time; they were reviewed by an international jury on Tuesday, September 11 at TH Köln Faculty of Architecture. The task was in several respects challenging to the participants: the metropolitan area of Dongguan in the Guangzhou region belongs to one of China’s most densely populated poly-metropolitan areas of China. 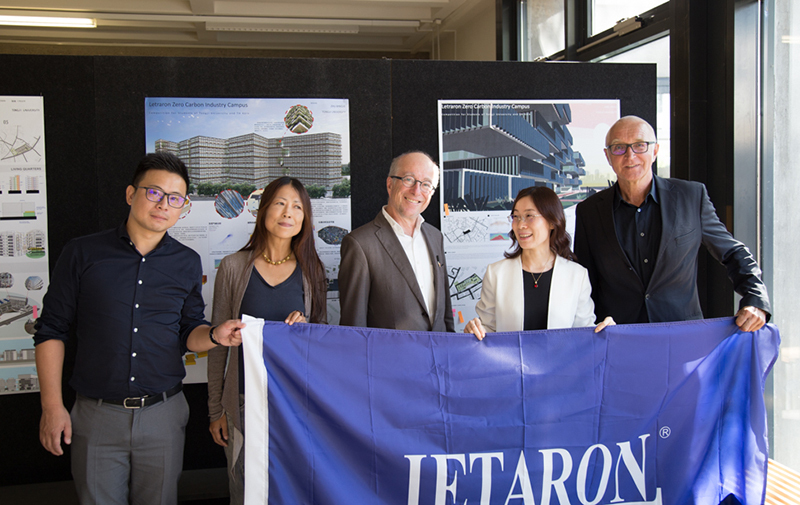 Besides the development of a sustainable quarter for working and living, the task included the development of conceptional and technological solutions for a climate adapted zero carbon emission building, as well as the transfer of Letaron’s corporate identity into the build environment. The LED-producer Letaron in Dongguan is a medium-sized company that produces lighting systems, which sold in more than 20 countries of the world. The company currently has two production facilities and twelve sales subsidiaries. Technical research centers are located in Germany, Italy and Spain. Description of the task: Letaron has acquired additional land (15,865.84m2) in Dongguan to build a new production campus. The design shall include industrial plants, research and development units, dormitories, spaces for the management, for communication, exhibitions, trainings, a library, catering and a café. The campus site could be partly opened to the community – both might benefit from the sharing of space and other resources. The competition aims to encourage students to design future built environments for the industry and its relation to surrounding communities. The competition language is English. The commissioning of the two universities and the goal of the Chinese company to develop a zero carbon industry campus shows that the issues of resources-efficient and climate-adapted buildings has won importance among Chinese companies. 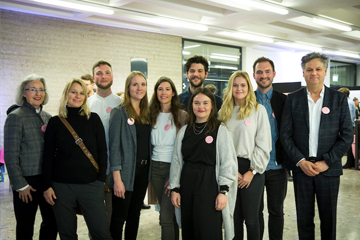 The approach of the company to work jointly with young architects and universities presents a model example for other (German) companies.
. several honorable mentions with certificates. The winning works were exhibited from September 11 to 18, 2018 at TH Cologne. In October 2018, they will be at CAUP Tongji University in Shanghai. Mrs. Fang, who is the owner and director of Letaron GmbH, and the participating professors agreed to continue the Chinese-German university-private sector cooperation. 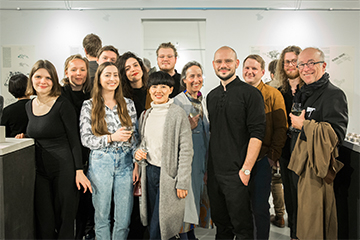 The academic exchange and international cooperation between the faculties of architecture in Shanghai and Cologne exists since 2016. In cooperation with Letaron they are aiming at the development of joint research projects.
. Very nice homogeneous design with a strong headquarter character, but not oversized. .Tiles are used as shading-material; the main building envelope sets back from the second skin and thereby offers protection from strong direct solar radiation.
. Well-designed meeting spaces (social aspect).